So here we are going full circle in the series of recent posts, back to some synthpop, back to the 80s, and back to OMD. OMD (or Orchestral Manoeuvres In The Dark, or Orchestral Manoeuvres as the sleeve for this song described them) had always straddled the line between experimentation and commerciality. Sometimes they went further in one direction than the other, but they are arguably at their best we they manage to hold those two tendancies in tension. As an album, 1981’s Architecture and Morality could be seen as a career highlight in achieving that, birthing three hit singles, hit still with enough elements of outright weirdness and oddity to make it interesting. 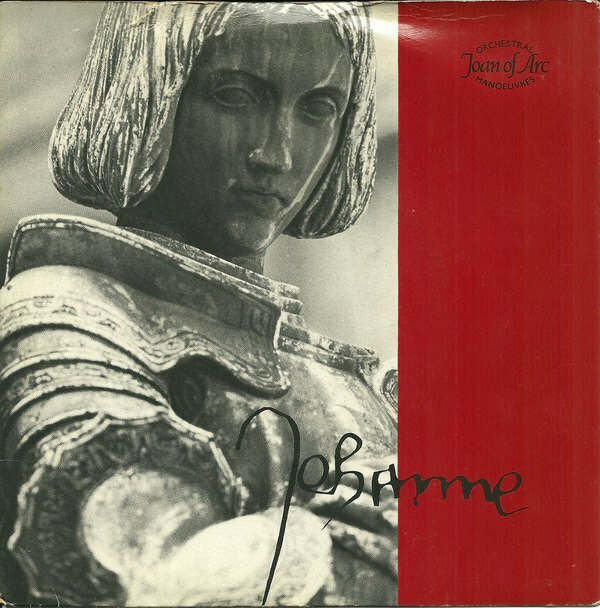 Two of those three singles focussed on the French heroine Joan of Arc (nicknamed Maid of Orleans, the title of the second such song). Having been in receipt of many religious visions in her early years, Joan was famed for her role in influencing the outcome of battles with the English in the 15th Century. She was ultimately handed over for trial and burnt at the stake at the age of 19, but it was not until the early 19th century that she was declared a national symbol, and not until the early 20th century that she was made a saint. So it’s just a simple three-chord song, chorus-less but with a bridge-like interlude before the final verse. The original is unaccompanied (just a drum machine) at the beginning, but I’ve chorded it. Works both strummed or picked. Enjoy! Categories: Synthpop, ukulele, ukulele chords | Tags: 1980s, 1981, OMD, Synthpop, ukulele | Permalink. 1980s synthpop has been a rich vein on this site, and I make no apologies for that. Many of those songs seem to translate well to the ukulele. What has surprised me recently, though, is how many of the bands of that era are still around, and still creating new music. Not just mining the nostalgia-circuit (although there’s nothing wrong with that per se) but actively creating new and interesting music. Not least of those is Orchestral Manoeuvres in the Dark, forever shortened to OMD. Born from the same late-1970s scene that also resulted in the likes of Echo and the Bunnymen and The Teardrop Explodes, OMD were always an interesting proposition, forever balancing their pop sensibilities with experimental, avant-garde elements. Notorious for following up their most successful and critically acclaimed album (Architecture and Morality – not exactly choc-full of hummable tunes itself) with the experimental cold-war themed Dazzle Ships (musique concrete, sound collages and short-wave radio exceprts), and reducing their sales by 90% into the bargain. OMD have ploughed their own path over the years. And in recent times that has resulted in something of a renaissance – their last album, English Electric, managing the trick of being a career highlight (after nearly 40 years), clearly an OMD record, yet also remarkably contemporary. They have a new album out later this year (The Punishment of Luxury) and if the early tracks are anything to go by that promises to be just as good. 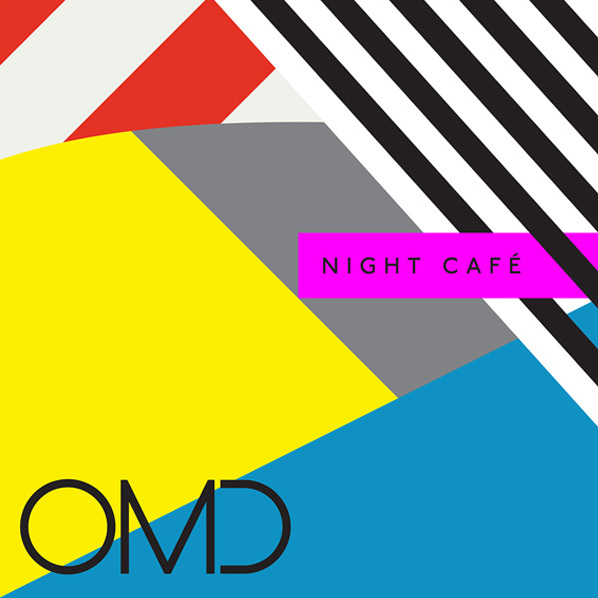 Night Café was a single taken from English Electric, and is a gorgeous medium tempo, chorus-less (a synth riff takes that role) song that is far darker than it at first seems. Check out the video (below) to see how dark! So here’s the songsheet. There’s only three chords, and they’re G, C and D, so it couldn’t be easier! I’ve also included tab for the synth riff that opens the song and runs between the verses, which again is nothing too tricky. Enjoy! Categories: Synthpop, ukulele chords | Tags: 2000s, 2013, OMD, Synthpop, ukulele | Permalink.